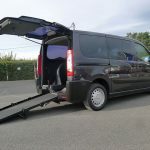 An Expert with plenty of power plus an ideal wheelchair accessible vehicle for anyone who requires extra floor length for their wheelchair or scooter. 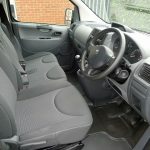 The wheelchair location in this WAV has also been carpeted for added luxury. 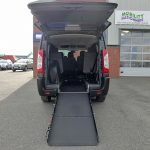 This vehicle has been converted by Constables and adapted with lowered floor and a two piece, non-slip ramp that is very robust and due to its length creates a lower gradient making it easier to push any wheelchair into the back. 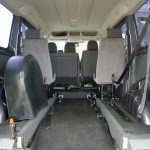 The front inertia wheelchair restraints attach to the wheelchair and have a no roll back function making them safer to use. 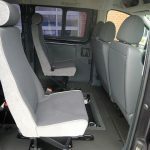 Once the wheelchair is in position inside the vehicle, the rear restraints attach to the back of the chair – the wheelchair is now fixed on four points, making it solid in the vehicle. 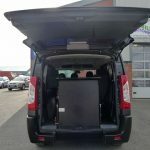 The diagonal and lap top safety belts then ensure that the wheelchair user is safe and secure before setting off on any journeys – all occupants of this vehicle can rest assured that they are safe and secure when out and about. 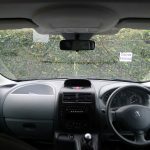 The view from the wheelchair position is excellent both side visibility and front visibility so the wheelchair user can enjoy the scenery when out in this vehicle. 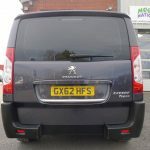 A great vehicle for family use also due to the number of seats – 3 in the front and 2 in the back. 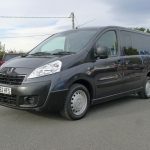 This WAV has a 2 litre diesel engine and manual gearbox – great to drive, again with excellent visibility for all occupants – check out the specification section for more details on the features. 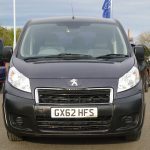 All of our vehicles come with 12 months MOT, 12 months warranty and are serviced/valeted in our very own Service Department before being delivered to their new homes. 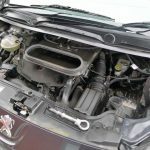 Give us a call on 01824 707773 if you need any further guidance or advice – our experts are always on hand to help you find that perfect vehicle to suit your particular needs.